In Neil Burger's latest film, Limitless asks the never ending question - "what if." If you could access 100% of your brain what would you do? Who would you become? Could you end world hunger, cure cancer? Eddie Morra (Bradley Cooper) is a man who is introduced to a designer drug that allows him to access 100% of his brain in a matter of minutes. Imagine the limitless possibilities. Before you know it, Morra goes from being a scruffy, grease bum writer, headed no where with a girlfriend (Abbie Cornish) who just dumped him, to a multilingual, smooth-talking motormouth with a photographic memory and an appetite for extreme success. While on this drug, Morra knows no bounds and becomes larger than life. However, there are a few downsides. Addiction does not come without a price. To maintain this "high" you have to take a pill a day, and it causes crippling headaches, vomiting and prolonged blackouts. Taking the drug becomes essential because without it Morra is unable to continue his rock star, I'm so amazing lifestyle. The real question at hand becomes: is it worth it? This sci-fi fantasy thriller is based on the novel "The Dark Fields," by Alan Glynn. It's an incredibly addicting, fun, entertaining joy-ride. It's a lot more fun than you'd guess from watching the trailer, which suggests some sort of somber, depressing rich-boy addiction drama with a predictable ending. That's not to say it doesn't have its share of flaws and loop holes. But what it lacks in substance it more than makes up for in hot style. Burger does a beautiful job bringing this story to life. The film editing blew my mind. It was edgy, crisp and fun. The use of color in the film was a stroke of genesis too. Notice the drab, boring color quality before Morra consumes the drug and compare it to the electrifying, rich, bold colors afterwords. It's a subtle but brilliant touch. Loved it! You definitely see some David Fincher influences in the film as well, spanning from Fight Club to The Game, especially during its occasional moments of visual brilliance. Burger's definitely a talented visual stylist. I also loved how the film is so easily a metaphor about ambition and addiction, which I found thought provoking and interesting. It's a shame Burger didn't take the time to develop that story further. 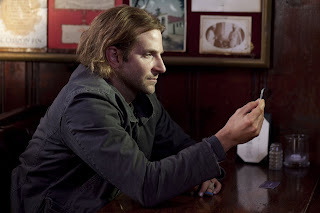 With his witty charm, Cooper is well-cast in this leading role, something I didn't think he could accomplish just yet. He smoothly pulls off a guy who goes from total geek, to total chic with a sudden four-digit IQ. 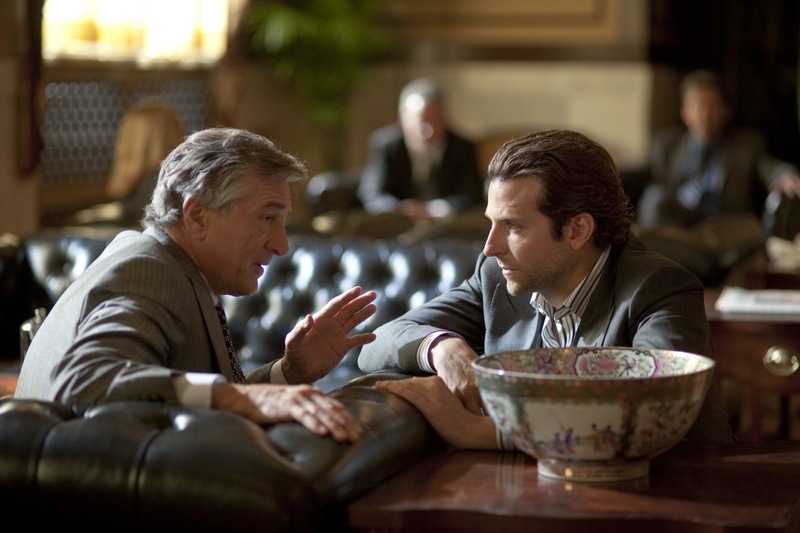 Robert De Niro doesn't disappoint either with his smaller but pivotal role. He does fantastic job bringing the story full circle. This film will excite, raise questions and most importantly reel you in with an entertaining hook. Great review. It makes me almost want to see the movie now.